As most people know, Tinker, Tailor, Soldier, Spy is the title of a 1974 John le Carré novel. But as most marketers know, it's also an apt metaphor for their jobs in 2012. In a cutthroat, trend-obsessed, multiplatform media world where the fortunes of a brand can rise with an endorsement or fall by a single tweet, the marketer must deploy the skills of an intelligence agent. In this, our annual Brand Genius awards, we've got 10 of the very best. Actually, make that 11. This year, we inaugurate our special lifetime achievement honor—the Brand Visionary Award—by saluting New York Mayor Michael Bloomberg, an entrepreneur who didn't just foresee the information age, but also created one of its strongest and most enduring brands. Two realities of business: Companies get bought and employees get squeezed out. So it was in 1981 for an equities desk whiz kid by the name of Michael R. Bloomberg. When Phibro Corp. gobbled up Salomon Brothers, Bloomberg—having assumed he’d found a lifetime job on Wall Street—instead found himself kicked onto that famous street. Fortunately for him, Salomon tucked $10 million in his pocket on his way out. Age 39 at the time, Bloomberg could have retired; after all, his package was worth $25 million in 2012 dollars. Instead, he rented a cramped office in midtown Manhattan and started his own company the very next day. Bloomberg’s most enduring creation—Bloomberg LP, a media behemoth that posted $7.6 billion in sales last year—was started back in that cramped office. During his years trading, Bloomberg puzzled over why Wall Street lacked any kind of centralized vehicle for the delivery of up-to-the-minute business intelligence that would permit securities firms to make smarter trades. So Bloomberg built one. He called it the “Market Master,” though the name didn’t stick (perhaps Bloomberg’s only marketing failure). Today there are more than 313,000 Bloomberg terminals in operation. 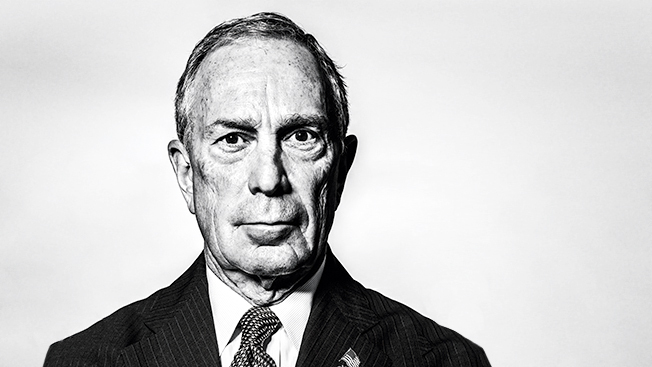 Bloomberg’s name is on many things: magazines, TV and radio outlets—and, of course, the door to the mayor’s office. Not everyone agreed with his view that New York could be run by the same principles he used to build his company, but it is difficult to argue with the results. Crime is down, graduation rates are up and Bloomberg’s pro-business policies, in the estimation of many, managed to shield the city from the worst of the recent recession. Many cried foul at the lifestyle laws Bloomberg has pushed—most recently, a controversial ban on large-sized sugary drinks aimed at curbing obesity rates. Again, one must consider the results. New Yorkers’ life expectancy has risen by 1.7 years in the years since a citywide smoking ban took effect.